Friedewald SM, Rafferty EA, Rose SL. Breast cancer screening using tomosynthesis in combination with digital mammography. JAMA. 2014;311(24):2499-2507. American College of Radiology website. ACR Statement on Breast Tomosynthesis. http://www.acr.org/About-Us/Media-Center/Position-Statements/Position-Statements-Folder/20141124-ACR-Statement-on-Breast-Tomosynthesis. Accessed April 11, 2016. FDA approval OI8003/S001. http://google2.fda.gov/search?q=cache:NaV70uWQgc4J:www.accessdata.fda.gov/cdrh_docs/pdf8/p080003s001a.pdf+hologic+approvals&client=FDAgov&site=FDAgov&lr=&proxystylesheet=FDAgov&output=xml_no_dtd&ie=UTF-8&access=p&oe=UTF-8. Accessed April 20, 2016. After attending medical school at the University of Pennsylvania School of Medicine, Dr. Conant went on to complete her residency and fellowship in thoracic and breast imaging at Penn. She began her career at Thomas Jefferson University Hospital and nine years later returned to Penn as Chief of Breast Imaging. Dr. Conant, a pioneer in the development of digital mammography, is a leader in research on the use and benefits of early mammography screening and on the role of multimodality breast imaging. As an internationally known clinician and researcher, Dr. Conant has received grants from the National Institutes of Health to compare standard surgical biopsy with digital mammography and stereotactic core breast biopsy. 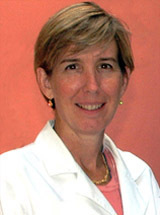 She has published more than 150 peer-reviewed articles on topics ranging from novel imaging technologies; the assessment of disparities in access to imaging; and quantitative analysis of multimodality breast images to guide personalized screening. In addition to her clinical and research responsibilities, Dr. Conant continues to guide faculty governance and organizational change at the Perelman School of Medicine at Penn.